Animals can’t drive. And if they could, they wouldn’t be very good at it. They do, however, sometimes make good passengers. 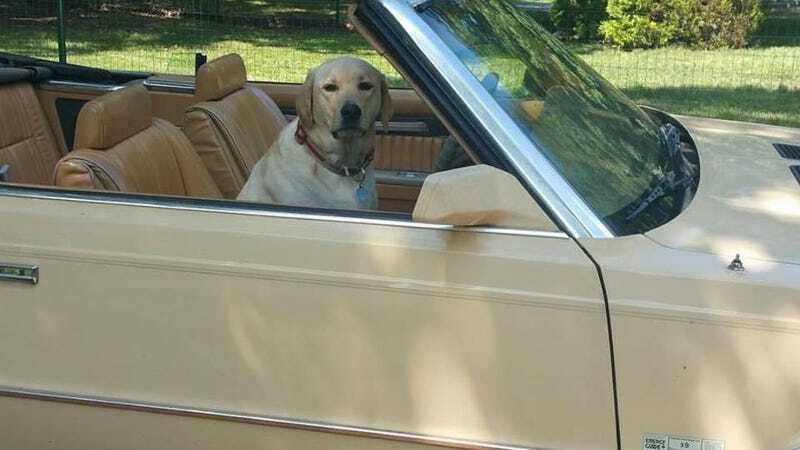 The picture above is my dog, Davis, sitting in the passenger seat of my 1985 Chrysler LeBaron Turbo convertible. He either looks very uncomfortable or very focused. I haven’t figured out which. Either way, Davis is ready to go cruisin’ in the finest convertible Craigslist and $1,200 had to offer. I’m not going to let him drive, but he’s welcome to let the wind blow through his floppy ears. Do your pets like to go cruising around in your car? Show us your animal friend hitching a ride in your car. What Is Your Worst Dealership Story? What Are Some Aging Cars That Don&apos;t Look Old Yet?